Australia’s healthcare industry has always been at the Global forefront in terms of exceptional patient delivery and being at the cutting edge of new and emerging healthcare techniques and practices and if you are seriously considering emigrating to Australia, there has never been a better time. Qualified Nurses are in short supply across all specialisations and as a result, in high demand when it comes to Australian Immigration. Can Australia Made Simple Help Me Move to Australia as a Nurse? We’d be delighted to assist suitably qualified individuals move to Australia as a Nurse or Midwife. Our Medical Migration specialists have over 10 years’ experience in successfully moving qualified nurses to Australia. Our experts take full responsibility for your successful emigration, right from the start. We’ll work with you immediately to ensure a positive Skills Assessment with the Australian Nursing & Midwifery Accreditation Council (ANMAC). The skills assessment can seem complex, yet your professional case manager will assume responsibility for securing a positive outcome. 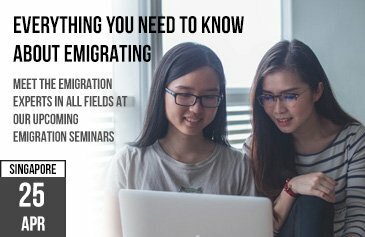 After securing a positive skills assessment the Medical Migration Team at Australia Made Simple will lodge the very best possible Expression of Interest and manage your case to its ultimately successful conclusion, with the issue of your Skilled Migration Visas to you and your loved ones (if applicable). To work as a nurse or midwife in Australia you will require registration with AHPRA, and this is something that Australia Made Simple will be able to assist you with. Our Medical Migration Experts will lodge your AHPRA application once you are invited to formally apply for your Australian Visas. In certain circumstances we’ll need to secure your AHPRA Registration prior to your Skills Assessment although we will of course discuss all the options available during our free consultation. Australia Made Simple exist with the sole intention of making Australian dreams come true and if you have been seriously considering a move then you could be next. With a dedicated team of Medical Migration experts and a network of great connections across Australia, we are with you every step of the way. Our team can work not only to match you to a job, but also help you to secure a visa, providing the complete package throughout the migration process.